The second day of the Jaipur Jewellery Show (JJS) 2018 witnessed huge footfalls, with quality visitors being attracted to varied, unique and innovative jewellery designs at JECC in Sitapura. Similarly, designer booths were an added attraction to the show with a whopping 8000 visitors having attended. This year’s edition of JJS has inspired colourful, innovative and well-thought out designers stalls. Themes like –Egyptian, floral, pastels, contemporary, vintage and much more have been carried out by the jewellery brands at their booths this time. Chairman of JJS, Mr. Vimal Chand Surana said that the unique and apt theme of the show this year—‘Reflection of Royalty and Creativity’ has really stuck a chord with the visitors. With Pink City being the hub of qualified and experience jewellers, the theme has an added royal elegance to the show. The exhibitors are showcasing necklaces, earrings, bracelets, head accessories and much more carrying the theme. Secretary of JJS, Mr. Rajiv Jain said that the visitors at the show this time have shown keen interest in fusion and lightweight jewellery. The show has also witnessed ample use of costume jewellery and coloured gemstones. Not only this, silver jewellery has evinced artefacts like comb, slippers, back scratchers, mythological jewellery and much more. 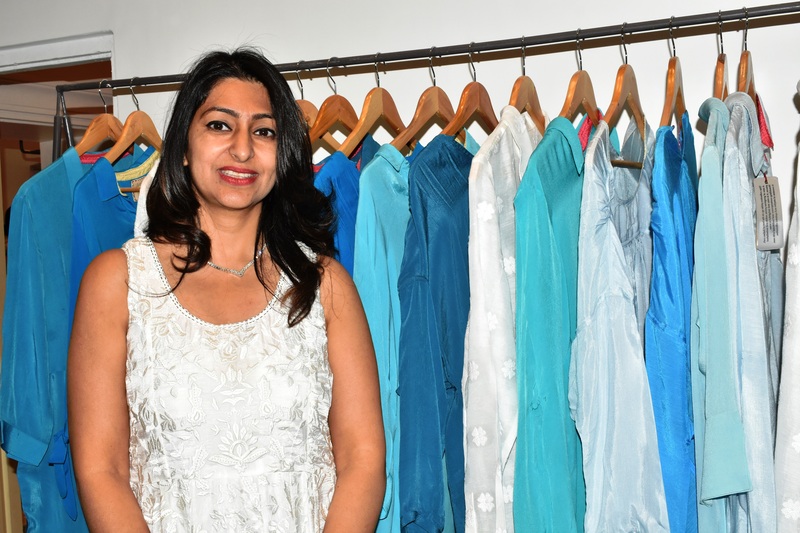 Some unique and innovative pieces like fragrance jewellery crafted with rosewood and sandalwood, ‘Kalangi’, fashionable belts, vintage jewellery have also been making rounds at the show. Media Coordinator of JJS, Mr. Ajay Kala said that last evening MLA, Adarsh Nagar, Mr. Rafik Khan drew the winning entries for the raffle draw. The winner was Mr. Damodar Soni. The raffle draw was sponsored by Shree GK Chudiwalas. Mr. Kala further added that the first and second Best Booths in Jewellery Section up to 18 sq. mtr. category were : Jodha’s by Jasmine Design Pvt. Ltd. and OPH Jeweller, respectively. The first and second Best Booths in Jewellery Section more than 18 sq. mtr. category were: Birdhichand Ghanshyamdas and Gie Gold Creations Pvt. Ltd. respectively. The first and second Best Booth in Gemstones Section were: Biharilal Holram and Hare Rama Hare Krishna respectively. 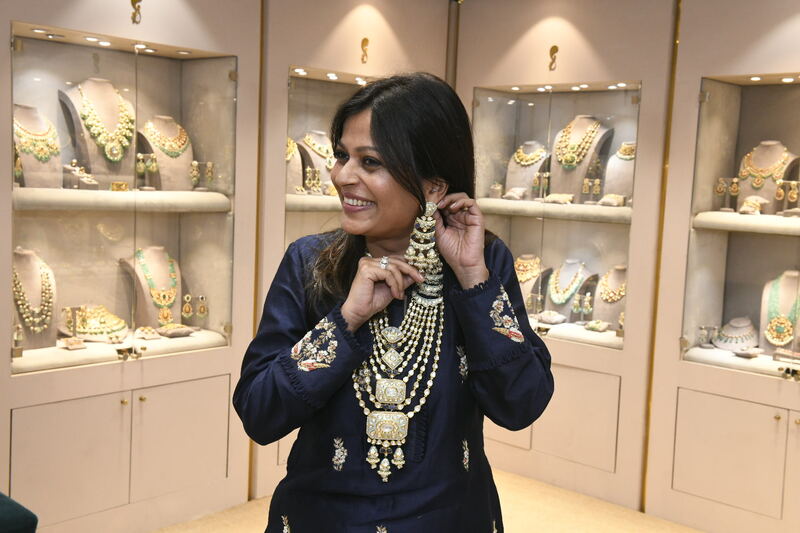 An integrated feature of JJS, the ‘Jaipur Jewellery Design Festival’ (JJDF) witnessed a successful second day with people trying the brand new feature—‘Augmented Reality Mirror’. Getting you ready to look your very best, these mirrors create the effect of numerous earrings, necklaces and set pieces on the user’s body. Sellers can now digitally showcase their collection to the buyers without even having to lift a finger. Other than this, 13 domes have been installed at the heart of JJDF. These domes are dedicated to established jewellery brands in the market. Each dome showcases a unique collection of a particular designer. These collections are a tribute to – royal gems, the Pink City, India’s rich heritage and handicrafts and much more. 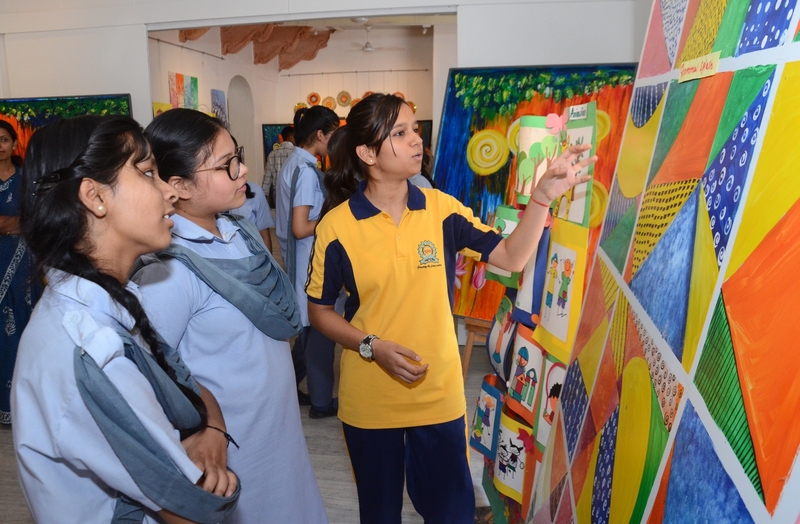 Similarly, the festival also had sections for artisans working on Kundan-Meena Jadau work, library with books on renowned jewellery designers and an ‘Upcoming Talent’ section which exhibited the jewellery designs by young designers. JJDF witnessed an interactive panel discussion on – ‘How do we Battle Design Plagiarism?’ On the occasion, jewellery designer, Mr. Yash Agarwal said that consumers also play an equal role in the plagiarism market. They bring designs they like from social media and take them to the jewellers to get a replicas made for them. Even though laws are in place to curb copying, it’s not the sole solution to the gargantuan problem. Both parties need to be equally responsible of their actions. Jewellery designer, Ms. Sunita Shekhawat said that copying happens on every level. However, when peers in the gem and jewellery fraternity begin copying each other’s designs it becomes very painful. Speaking about the influence of social media over plagiarism, Jewellery designer, Mr. Adeesh Nahar said that copying design is not a new problem in the business of fashion. We are in an unorganised market where designs have no value and with the growing use to social media, copies have been popping up far more often. Other panellists like – Jewellery designers Anil Bharwani and Laksh Pahuja and Social media influencer, Tatyana Pfaifer were also present on the occasion.